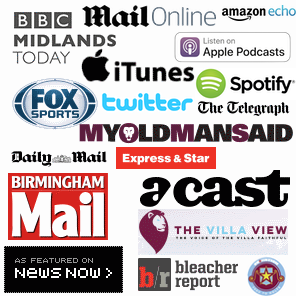 Aston Villa 2-0 Rotherham – Bruce tarnishes timely win by targeting fans & press. This blog has stuck its head above the parapet in both writing and in the podcast by trying to remain on the fence with Steve Bruce. Whilst some dire performances and fan opinion have been reflected upon with balance, I’m on the record as saying that an “in-season” change of manager isn’t a desirable outcome. That’s not to say that it might not ultimately be necessary, it sometimes is, but that if it can be avoided, then it should. So, a Rotherham side with an abysmal away record arrived at Villa Park and lost 2-0; that victory alone should have been seized upon as a positive. However, instead of focusing upon the positives from what was in large part an uninspiring, if efficient home win, we are instead drawn to the ill-advised and targeted post match comments of the manager. Now, Bruce has come in for significant scrutiny of late, some of it over-reactionary in the grand scheme of our season, some of it overlooking our calamitous close-season preparations and the remainder, a justified bafflement at both selection, form and tactics. There’s also been some pretty horrendous personal attacks on Bruce across social media, which whilst many wouldn’t entertain in rationale debate, can be too casually overlooked. With that said, Bruce as a seasoned football manager and veteran of the game should, you would have thought, known better than to fire shots across the bows of both lifelong supporters and the local press. Fans, are entitled to their opinion. Arguably, there is no right and wrong in this. Football is rooted in views on players, results, officials and everything that’s in between. Debate happens over pints, at work and in the modern era more broadly online. However, it’s certainly nothing new. The press exist to question and hold public figures to account. Bruce is no different and it comes with the territory. Whilst certain quarters of the local media have written observational pieces on his performance, aside from James Nursey’s inaccurate unsettling Grealish transfer stories, Bruce has got off quite lightly. Indeed, it would be my view that the local press have been too risk averse (for abject fear of losing access) to scrutinise both the clubs off-field performance and that of the manager’s failure to gain promotion after two seasons adrift in the Championship. To suggest what? That following football requires a level of superior intelligence to interpret, appreciate or make reasonable assumptions as to how the future may pan out? It’s after-all a game so simple, that young children can play it with little other than a cursory explanation. It’s this simplicity that engrosses millions (billions?) of us to consume so much of the sport, in all its forms around the globe, from a young girl with a disability playing via the Villa Foundation to the OAP gent taking his seat for the Xth season in The Trinity. Aston Villa isn’t, unfortunately for Steve Bruce, any different. It’s not nonsense to examine a winless run or query the repeated selection of seasoned professionals out of position. Nor is it unreasonable for paying supporters to ponder what the reasons for a dour and uninspiring brand of football might be. It’s a results business, marketed as entertainment, is it not? I also think to refer to sections of fans as the “mad few” is incredibly poor terminology to use from one of the most visible, quoted figures at the football club. It also suggests a level of delusion on Bruce’s part that discontent is consigned to an extreme minority, whom he should carelessly refer to as having a mental deficiency. Whilst not a scientific barometer, a casual review of general consensus, opinion and discussion on social media cannot be readily discounted. Finally, Bruce is too readily dismissing a huge chunk of the fan-base as lacking common sense. We could, as an alternative, examine any number of managerial decisions lacking ‘common sense’? Such comments, do not ‘shut up’ a watchful, learned fanbase; it merely serves only to fuel the fires that could be put out with winning football matches. This also detracts from the positives in a needless, unsavoury manner. A first win in five that should have been seized upon to challenge any perceived narrative of negativity. Or that the club is now back into the top six, with an opportunity to press towards the summit of the table should another win be secured against Sheffield Wednesday on Saturday. Or that Tammy Abraham and Yannick Bolasie demonstrated more in ninety minutes (one as a cameo scoring sub) that many peripheral players have in their Villa careers? Perhaps though, these comments draw attention away from nagging issues that persevere? Why, despite Rotherham’s lack of adventure or intent, did we invite needless pressure and opportunity? The visitors will rue gilt edged missed chances in both halves that could easily have changed the outcome. Why is there so little momentum, flair and pace in our team? Why are there long periods of games where we lose our way, unable to inspire, create or up the tempo? Why, despite significant investment and recent managerial stability, is there no discernible style of play visible or emerging? A win against Rotherham was deserved, certainly welcome, but the performance would not have been sufficient to put many in the division to the sword. The uncomfortable truths, irrelevant of ones intelligence, are there for all to see. 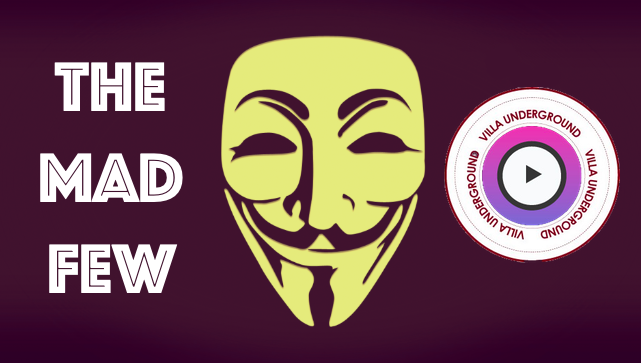 Your support keeps VillaUnderground.com alive. 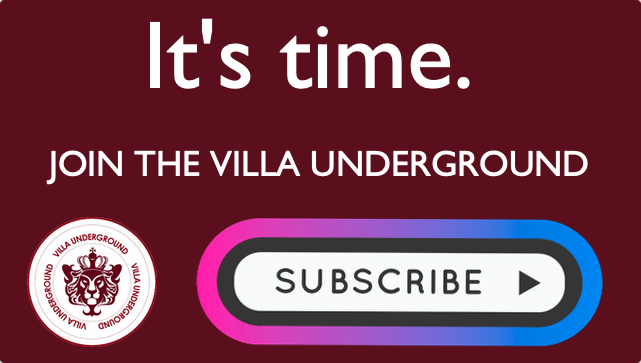 Please consider subscribing & supporting independent Villa news. Dodging Bullets: Villa’s search for a new manager carries high risk. We must get it right. Bruce insulting his own fans, come on he’s lost the plot, and this won’t end well. For the first time in 61 years, on Tuesday I hoped we would lose that’s. How much I dispose Bruce. I will be cotinue to hope we lose till he’s gone! Irational I know but so is continue to hope for improvement when you know the problem is still there! The fact that Bruce who says he never reads any social media or press reports, goes after the media, tells you he is lying. The fact he goes after us fans tells you he has very thin skin. The fact that lifetime supporters like myself hope we lose in order to finally rid ourselves of this cancer in our club, tells you how much that Villa new hierarchy needs to get rid of him. Now. The weasel Xia needs to actually tell the new owners, who are obviously not aware of all the damage been done, that Bruce will spend all your money and only a small percentage of players will work out. Thought we had deadwood under Lerner? Just wait until Bruce leaves. More than half he has signed will not be wanted by anyone. Even if they were, no one wiuld pay the exorbitant salaries for them. New owners will end up paying for Whelan and Elmo etc…for years after. That’s will be Bruce’s legacy to this club.